Want to learn how to bake at home? 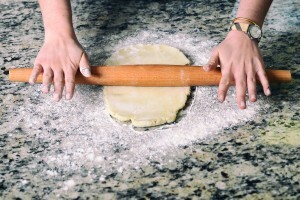 We’ll start from the beginning and go over the basic techniques and discuss what leads to the best baked goods. We will discuss ingredients, measuring, essential equipment, and how to avoid common issues. The menu will be tailored based on what you want to learn. The ultimate goal is to free yourself from boxed mixes and buying not-so-good baked goods from the grocery store. Do you have a date and time in mind for your class?